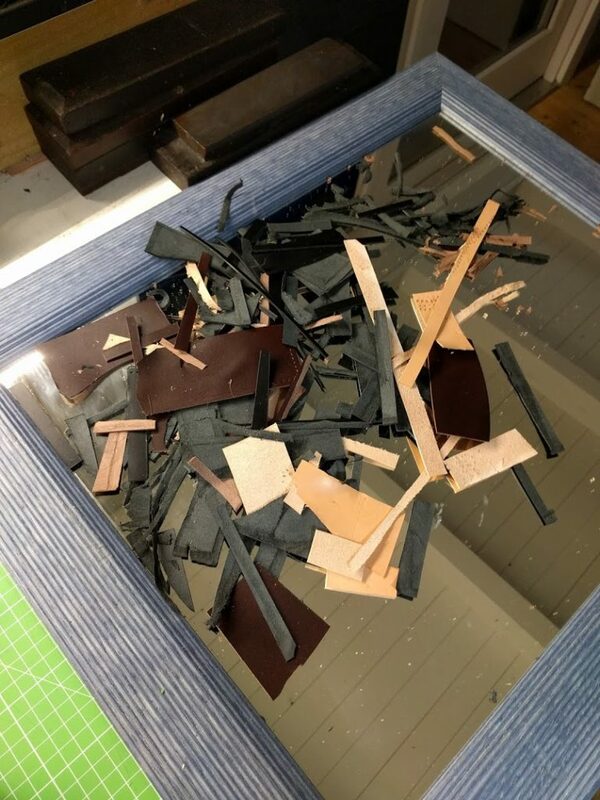 Skiving is the process of removing the flesh side of a piece of leather, leaving one section of the hide, normally the outer edge, much thinner than the rest. It requires a steady hand and an extremely sharp skiving knife. Like a lot of processes in leatherwork, the only way to get a better finish to your skived edges is to practice, practice, practice! 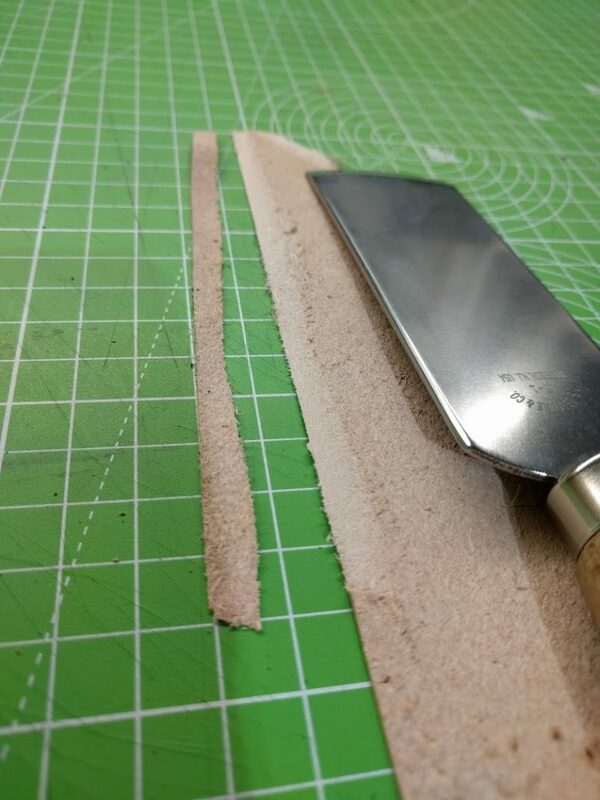 Skived edges are great for when you need to lay several pieces of leather together, but keep a thin profile… the edges of a leather wallet, for example.